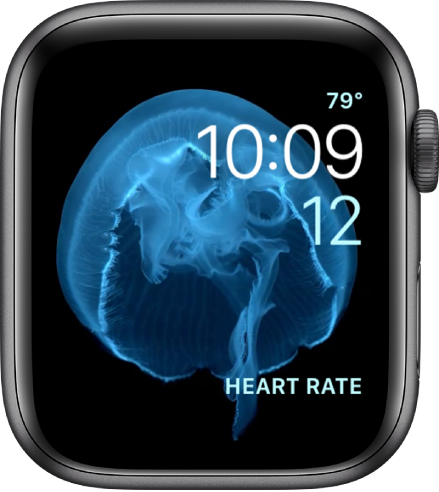 Your Apple Watch comes with a variety of watch faces, most of which you can customize. See Customize the watch face to learn more. 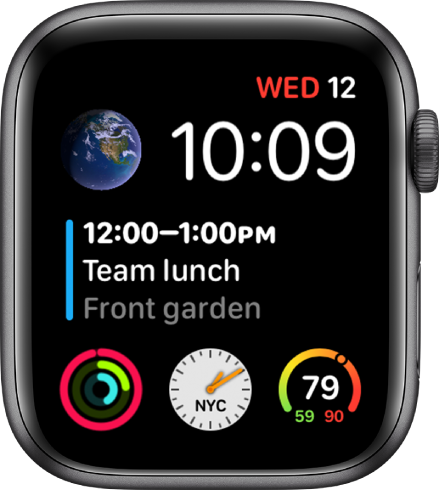 Look for software updates; the set of watch faces that follows might differ from what you see on your Apple Watch. 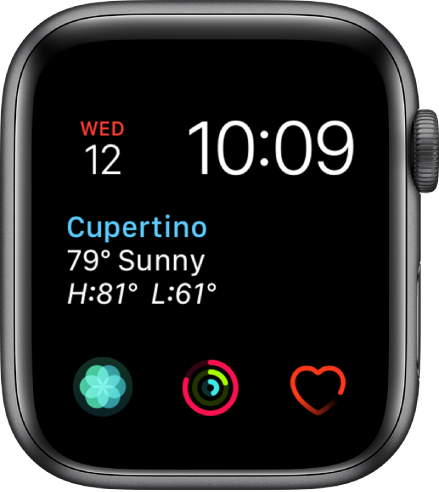 Not all watch faces available in all regions. 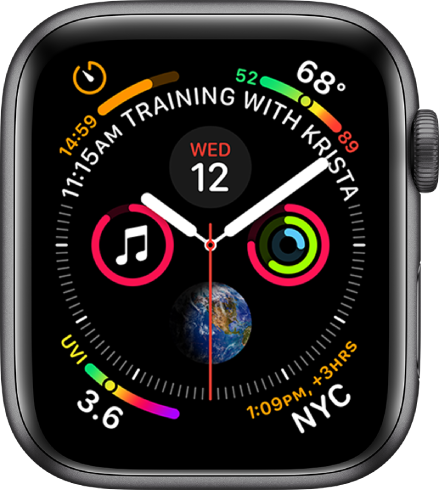 To see the latest set of watch faces, make sure your software is up to date. 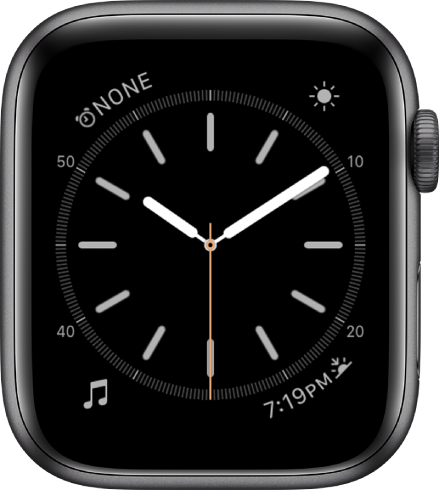 Note: The Radio complication appears only on Apple Watch Series 3 and later. 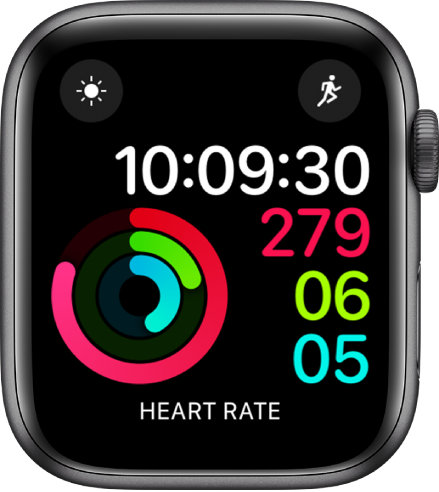 This watch face shows your Activity progress, superimposed over a traditional analog clock. 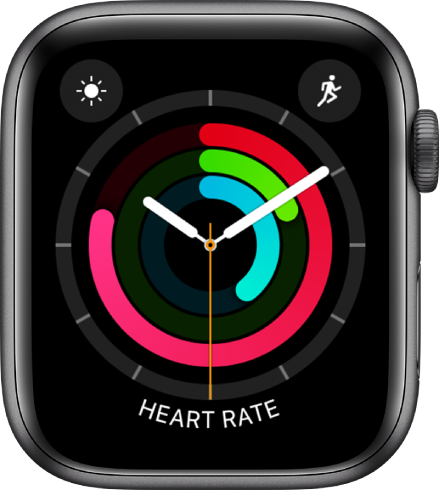 You can choose to see your Activity rings in the familiar stacked design or as subdials. With large, uniform fonts, this watch face shows the time in a digital format, along with your Activity progress. This watch face shows a continuously updating 3D model of the Earth, Moon, or solar system. This watch face encourages you to relax and breathe mindfully. Just tap the display to begin. This watch face measures time in precise increments, like a classic analog stopwatch. It includes a stopwatch that can be activated right from the face. This watch face displays the time and any features you add in your choice of bright colors. 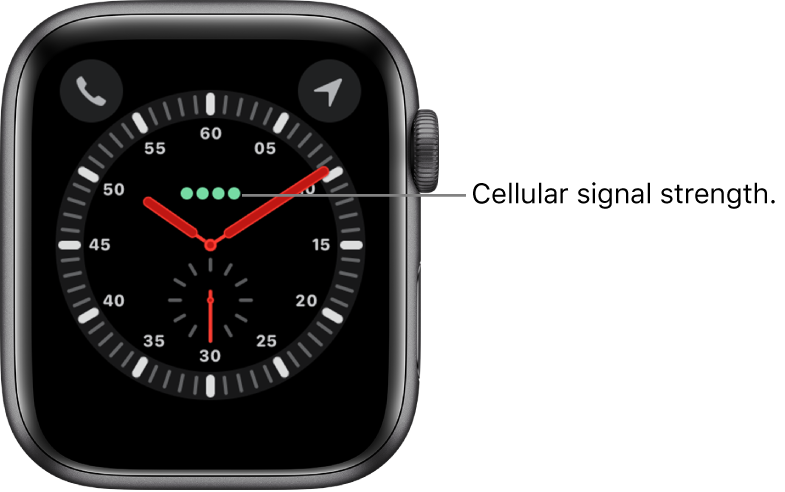 The Explorer watch face is found on Apple Watch with cellular and prominently features green dots, which indicate cellular signal strength. 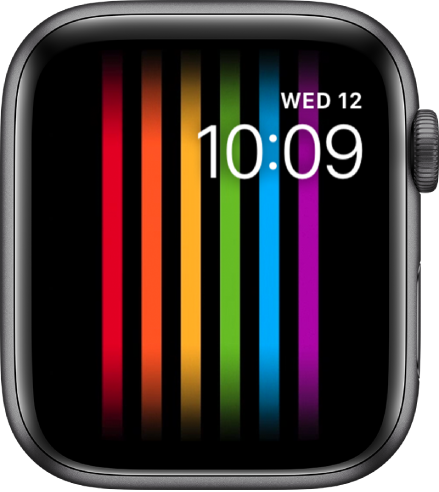 This watch face animates whenever you raise your wrist or tap the display. 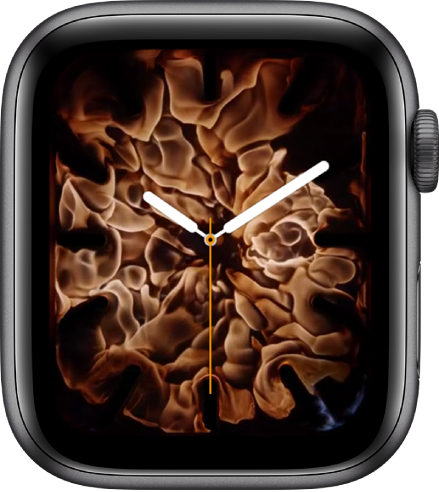 Featuring up to eight rich, full-color complications and subdials, this watch face is available only on Apple Watch Series 4. 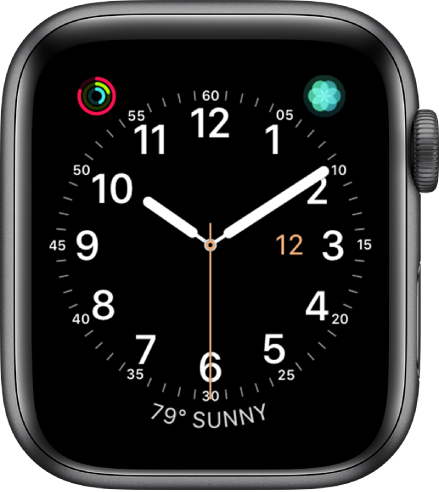 Featuring up to six rich, full-color complications, this watch face is available only on Apple Watch Series 4. Select a photo to create a watch face with evolving patterns of shapes and colors. Turn the Digital Crown to change the pattern. Let Mickey Mouse or Minnie Mouse give you a whimsical view of the time—their arms rotate to indicate the hours and minutes, while their feet tap out each second. 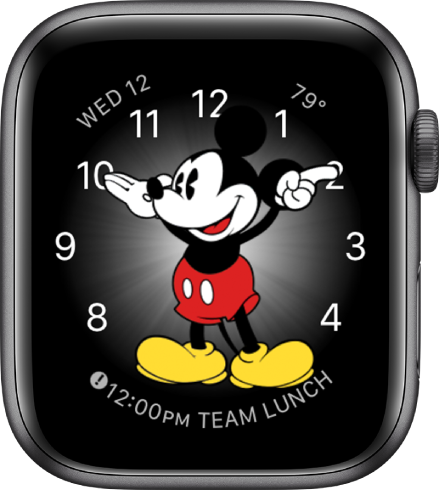 Raise your wrist and tap the watch face to hear Mickey Mouse or Minnie Mouse tell you the time. Choose whether your character speaks the time: Open the Apple Watch app on your iPhone, tap My Watch, tap Sounds & Haptics, then tap Tap to Speak Time. 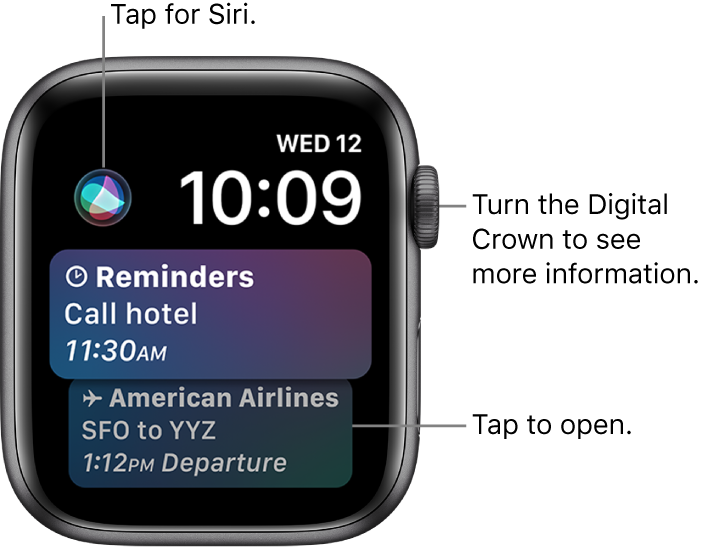 You don’t hear the voice if your Apple Watch is in silent mode—to turn silent mode on or off, swipe up from the bottom of the watch face to open Control Center, then tap . This watch face has a digital time display and a grid layout that lets you add many features to give you a thorough view of your day. 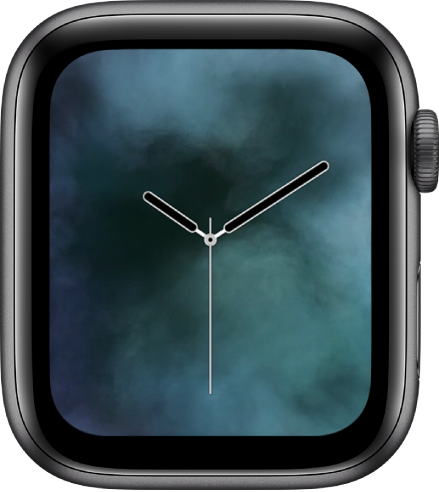 This watch face displays a beautiful animated theme. This watch face displays the time with analog hands over a large hour marker. You can choose from seven different typefaces and countless colors for the perfect combination. 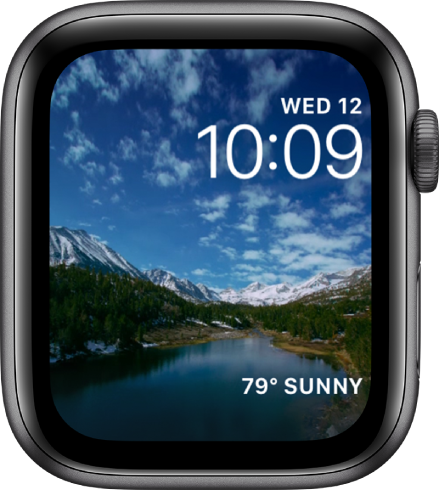 This watch face lets you show a photo from the Photos app on Apple Watch. For variety, add more than one photo face. 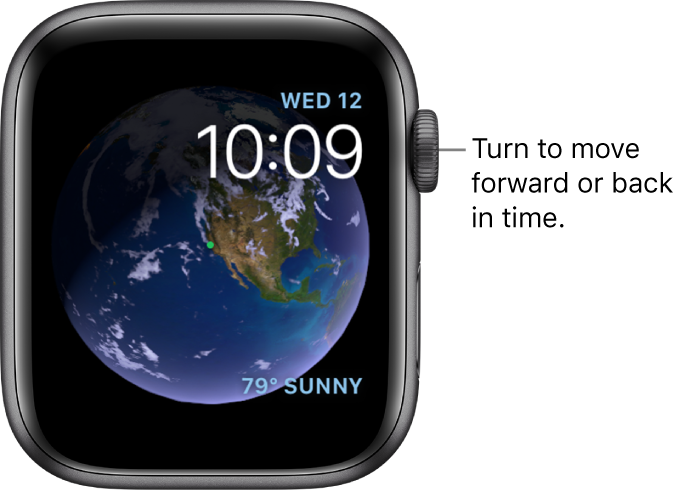 A new photo appears every time you raise your wrist or tap the display. Choose from a synced album, recent Memories, or up to 10 custom photos. 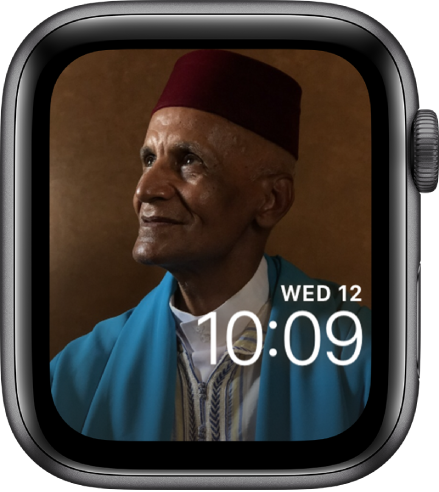 Create a Photos face on your Apple Watch: With the current watch face showing, firmly press the display, swipe all the way to the right, tap the New button (+), then tap Photos. 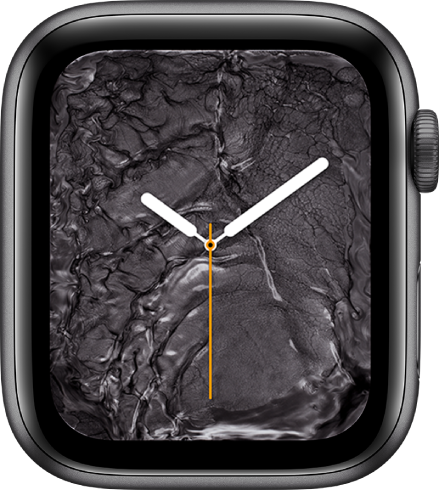 Or, while browsing in the Photos app on your Apple Watch, press any photo, then tap Create Watch Face. Create a Photos face on your iPhone: Open the Photos app on your iPhone, tap a photo, tap , then tap Create Watch Face. 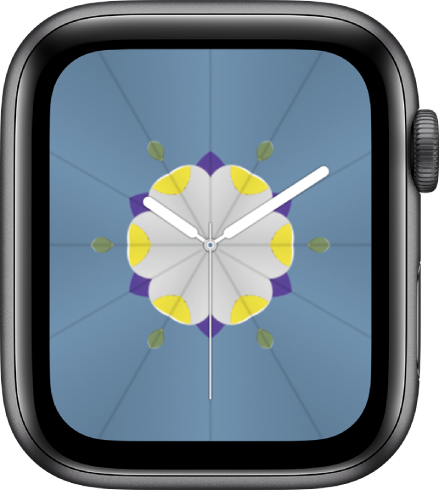 Choose to create a Photos watch face or a Kaleidoscope watch face. If you’re not seeing photos, make sure the photos are in your synced album. For help, see Choose a photo album and manage storage on Apple Watch. Show your pride with a watch face that’s inspired by the rainbow flag. The threads of color move if you tap the display. 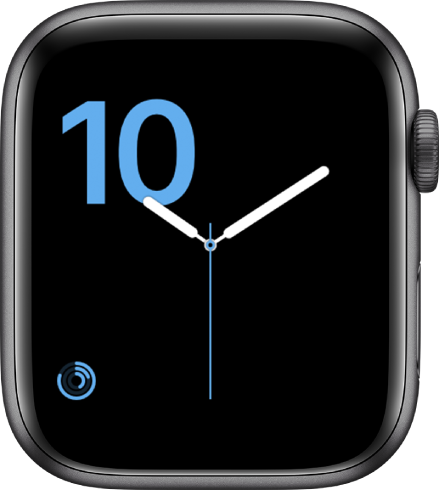 This minimalistic and elegant watch face lets you add detail to the dial and features to the corners. 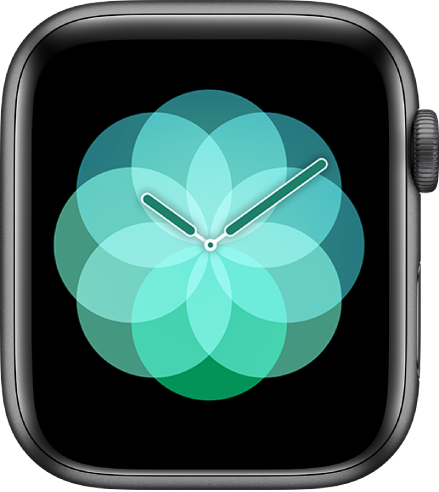 With this face, Siri takes a look at your day and displays information that’s timely and helpful. It might be your next appointment, the traffic on your way home, or the score of a game played by your favorite team, and you can tap to get more information. You can also turn the Digital Crown to scroll through your day. 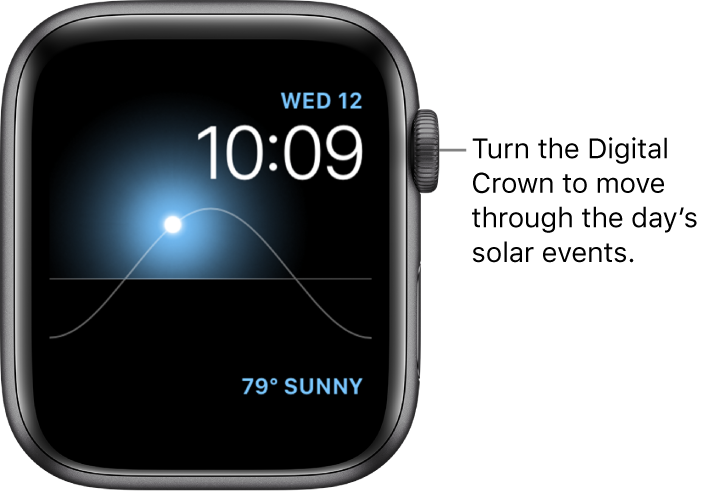 Based on your current location and time of day, the Solar watch face displays the Sun’s position in the sky, as well as the day, date, and current time. This watch face shows a timelapse video of a natural setting or cityscape of your choice. 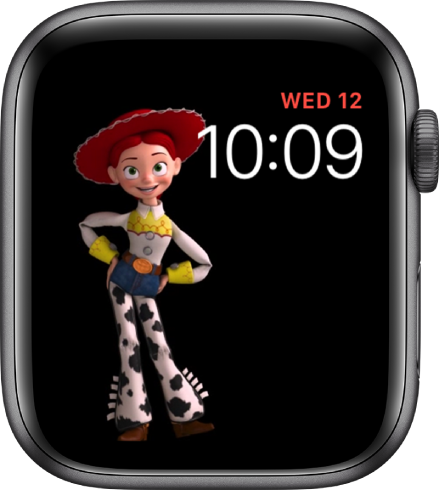 Your favorite Toy Story characters come to life with a raise of the wrist. 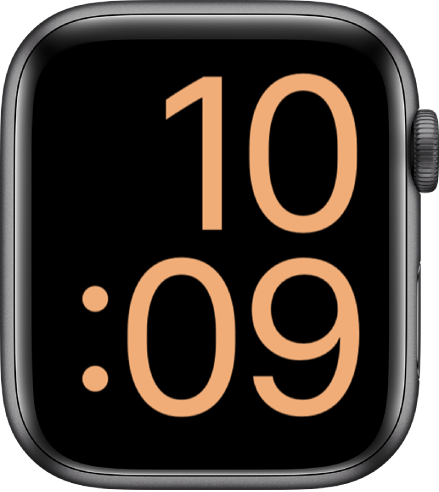 This watch face is practical and functional; add up to three complications to display what you want to see at a glance. For when you need the largest available display. 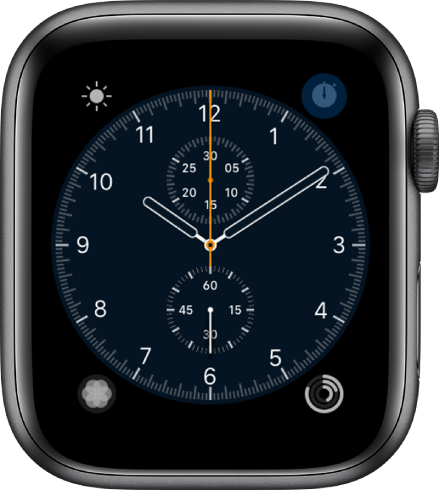 When you add a complication, it fills the screen.